The missing middle in low income countries is Small/Medium Enterprises. We focus on developing specificly on Small/Medium Enterprises in NorthCentral India. 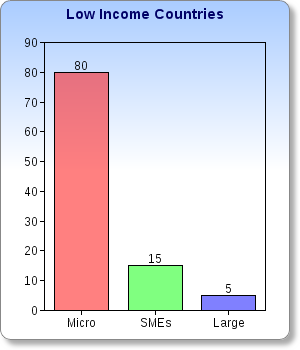 Small and Medium Enterprises (SME) play an important role in the development of a country.Over the past 30 years, micro-enterprises have received the bulk of the attention and capital. 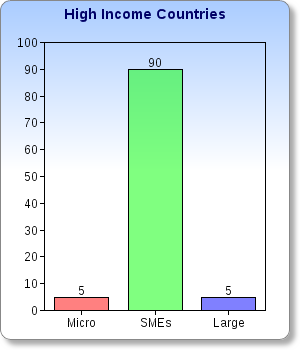 Nevertheless, SMEs cannot be neglected as they represent an important part of true economic growth. Lending to SMEs has a substantial impact, creating real, sustainable jobs for the bottom of the pyramid, have improved economies of scale allowing them to compete more effectively, and providing owners with opportunities to build assets and wealth, beyond income augmentation and smoothing. .Traditional microfinance models have helped provide basic financial services to hundreds of millions in India. But in order to help build dynamic competitive economies in developing countries, the time has come to pay greater attention to the potential of small and medium-sized commercial firms to promote economic growth. .